Passover, or Pesach in Hebrew, is the spring Jewish holiday, usually falling in April. It is one of two holidays in the Jewish calendar that is one week long (eight days in the diaspora), starting on the 15th of the month of Nissan. It is the celebration of the exodus from slavery in Egypt over 3,300 years ago. Jews clean their homes, removing leavened bread for the entire week and refrain from eating anything with leavened bread in it. 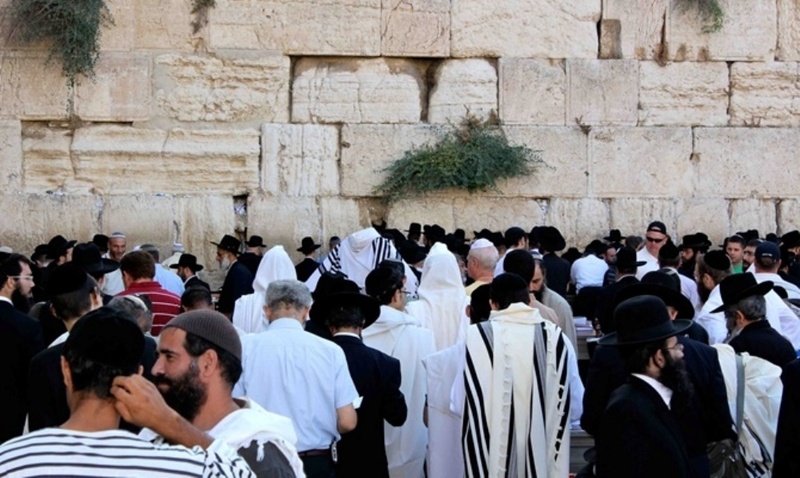 Passover is traditionally one of the three holidays on which Jews made a pilgrimage to Jerusalem during the periods of the First and Second Temples. Today Jerusalem is again a popular destination for Passover and the city welcomes its guests with an amazing array of activities and events. Pesach 2019 begins the evening of Friday, April 19 and it ends after sundown on Friday, April 26. Planning on visiting Jerusalem during Passover? Check out this year’s events! 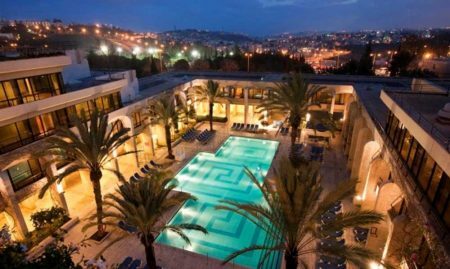 Before you plan your next vacation in Jerusalem, we recommend checking out our best Passover deals. Here you’ll find the best rates on the city’s leading hotels, located within walking distance from the largest holiday events for Passover 2019. This is something worth experiencing at least once. Provided you aren’t bothered by large crowds, join one of the tens of thousands of people who attend this event annually where hundreds of Jews of priestly heritage bless the congregation. We recommend you arrive early to make sure you get into the plaza area. Bring sun protection, modest clothing, a bottle of water, some snacks and a camera. It will be almost impossible to get anywhere close to the Old City by car on the day of the Priestly Blessing, but you can park at the light rail station in Mount Herzl or in Ammunition Hill and take the train all the way to the entrance of the Old City. Extreme Passover at The Ramparts Walk – Great Prices! Photo by: East Jerusalem Development Ltd.
East Jerusalem Development welcomes you to take part in fascinating activities for the whole family and see the most spectacular views while you’re at it! Independent Track – “On Top of” The Ramparts Walk – Take a self-guided tour for the whole family and admire the view on the New and Old City of Jerusalem. We recommend getting the “Jerusalem Audio Tours” free app. Independent Track – “Underneath” Zedekiah’s Cave – Take a self-guided tour around Jerusalem’s biggest quarry. Discover ancient legends hiding underneath the city walls, visit the Tears Spring, and learn about the place that gave Jerusalem its precious stones. An exclusive insight into ancient times. When: Chol HaMoed Passover. Call and get tickets in advance. Soak up the spring atmosphere with Zuzu Tourism and discover a variety of unique tasting tours, culinary workshops and walking tours that you can combine with your Segway tour. 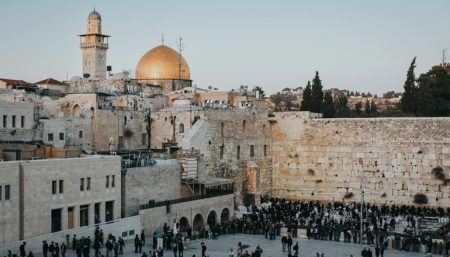 Among the various activities, you’ll find a Segway tour combined with a tasting tour around Machane Yehuda Market, a surprising tour on the light rail and the historic sites that are on its track, a bike tour around the Old City, and even night tours. Don’t miss out this Passover! Read more about Zuzu Tourism and book a tour! Feeling like touring the city’s neighborhood and getting to know the real Jerusalem story? Smart Tour Segway and bike tours offer a great variety of scenic and breathtaking tours of the new and old city. This local operator offers a variety of experiential tours through the beautiful landscapes of Jerusalem with certified guides that will tell you the most extraordinary stories. Celebrate Passover and enjoy enriching tours with the Company for the Reconstruction and Development of the Jewish Quarter! The Quarter’s Rhythm – a new experiential team-building game for the whole family. During the game, you will discover Jerusalem’s extraordinary past, passing one period after another. Escape Room – Escape to the Past – a new interactive game made especially for this holiday. Participants will move around the quarter’s alleyways, underground passages and excavations and find their way out using challenging riddles and puzzles. Yad Ben Zvi’s spring tour will take you to a beautiful pre-smartphone era. Get to know Nachlaot neighborhood through the classic street games. Join this incredibly sweet and nostalgic guided tour – perfect for children and parents! Where: Departing point – 14 Eben Gabirol St, Yad Ben Zvi. The Visitor Center of Jerusalem municipality invites you to see the place where all the real decisions are taken. Where: Safra Square. At the entrance to building 3. Visit the birthplace of Samson the Hero and learn about one of the world’s most unique forms of living – the Israeli kibbutz. What is a kibbutz anyway? How did it start? And how does it look like? A unique opportunity to get an insider’s view on a different way of living. Tower of David Museum launches a new night experience in the form of an exciting sound & light show that tells the story of King David, starting from his childhood in Bethlehem and ending at his days as a victorious king. This impressive experience for the whole family is available during most nights of the week at Tower of David Museum. Using cutting-edge technology, the show creates an unprecedented international and artistic attraction suitable for all ages. The show features powerful laser projectors, a computerized system operating 20 projectors, 10 audio players, 14 computers, 14 speakers and amplifiers, and 10 kilometers of advanced cable infrastructure. The show is wheelchair accessible. Join the adventure tour around the Archeological Park – Davidson Center. See the “Hallelujah” night show. Take a magical tour around the underground biblical City of David! Celebrate in the Valley of the King in a fun festival with lots of free activities and attractions. Take a unique Segway tour. Follow the Blue Stone Trail with a special guided tour and discover the ancient water pathways that once flowed to Jerusalem. Hop on an electric bicycle and ride along the beautiful Haas promenade to see the best panoramic views. Experience archeology first hand by joining an authentic archeological experience at the Emek Tzurim National Park! There’s a cool navigation game for the whole family as well! When: Throughout Chol HaMoed Pessach – call in advance. Experience the Ein Yael Active Museum‘s delightful recreation of biblical times in Israel. As you walk down the ancient Roman road, you’ll be serenaded by musicians and meet the museum’s artisans, who will be conducting workshops on basket weaving, making musical instruments from natural materials, clay ceramics and more. You’ll meet craftsmen who will recreate their works in front of your eyes, actors that will make you laugh, and musicians that will inspire you. You can also visit the museum’s zoo, take in gorgeous views and check out the archaeological ruins. The museum will present a special children’s theatre show for an admission fee of 5 ILS. Admission: Children – 45 ILS; Adults – 35 ILS. The Gazelle Valley Park has lots of fresh spring activities waiting just for you! The reveal of the new baby deer name! Gazelle Valley Park anniversary celebration! When: April 21-25 at 10:30 am – 1:30 pm; 3:30 pm – 6:30 pm. Night Safari – April 16 & April 23 at 6:30 pm: Join an experiential night tour and observe birds and other fascinating night creatures. – advance registration only! Tickets: 30 ILS. 12:00 pm, 2:00 pm – Nature Escape Room – 100 ILS/family of 5 – advance registration only! Jerusalem Bird Observatory Anniversary! April 24 at 10:00 am – 3:00 pm: bird-ringing, anniversary parties and guided tours every hour. All activities are free on that day! Spring is already here, and the Botanical Gardens are at their peak! Take your kids or partners and enjoy the picture-perfect sights of the springtime in Jerusalem. The gardens offer 3 different tours and a variety of paid workshops at the central lawn area. The workshops allow children to experiment with creating from natural materials and drawing on large drawing papers. In addition, the gardens will host the “Poets in the Garden” celebration, in collaboration with Mashiv magazine. This celebration will include a poetry exhibition that aims to connect man with nature, poetry and music events will take place as well as masterclasses with poets, unique poetry tours and many more surprises! Live the Bible is the only attraction that will allow you to be photographed with spectacular images and recreate scenes from the Bible in an unprecedented way. And this year you can participate in the competition “Moses in the Box”! The most beautiful picture will be awarded a modern box – a pampering crib worth NIS 400. The participants will also receive a 10% discount on the activities for the whole family! So how do you register and participate in the competition? 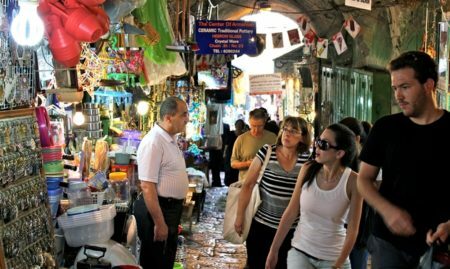 An exquisite & friendly bazaar in the heart of modern Jerusalem. The Jerusalem Flea Market is a collage of second-hand, vintage wares and clothing, collectibles, one-of-a-kind objects, retro bric-a-brac, knickknacks, furniture, vinyl, military items, zines, ceramics, glassware, artwork, and tons of surprises! With over 100 stalls at Jerusalem Flea Market, you’re going to find something for everyone. It is the best spot to meet your friends, browse, rummage, sell and purchase interesting vintage or vintage-inspired treasures. Go for a Ride w/ Jerusalem ATV Tours! Looking for an extremely exciting nature adventure? Hop on an ATV and ride through the stunning views of the Judean Mountains. Jerusalem ATV tours offers extreme adventure tours with new and safe vehicles, experienced tour guides equipped with walkie-talkies and first aid kits, mineral water, tea & coffee break and stops for some beautiful landscape photography. Passover is a wonderful opportunity to experience the breathtaking region of the Judean Desert from Jerusalem to Jericho. The Maale Adumim tour is your chance to learn about the desert, the history and the biblical connection of this area as well as the present day realities of Jews, Arabs and Beduin living side by side. Enjoy this great weather, when it’s not too cold anymore and it’s not too hot yet, and go and explore the nature around Jerusalem. The beautiful Aminadav Forest (aka Peace Forest) is a unique forest located southwest of Jerusalem with springs, agricultural terraces, ancient wine and olive pressers, medieval lime klins, and a breathtaking view. While you’re here, check the Sataf River, get in the pool and have some fun! From Jerusalem: After driving by Mount Herzl and the access road to Ein Kerem, turn westwards on to the road that leads to Moshav Ora and Moshav Aminadav. From Tel Aviv: Turn west (i.e. right) off the Tel Aviv – Jerusalem Highway (Route no. 1) at the Harel interchange, drive to Sataf roundabout, then on to Hadassah Ein Kerem Hospital, from there to the entrance to Moshav Ora. Fascinating Audio-visual journey following the footsteps of one of Israel’s most influential leaders. Tickets: adults – 25 ILS; seniors/students/soldiers/children – 20 ILS. Ask about combined tickets and get a reduced price on different activities. Jerusalem Wineries Visitor Center is located in the newly restored Montefiore Windmill in the historic neighborhood of Mishkanot Sha’ananim and offers a variety of activities for children and adults alike. Enjoy a fine wine tasting event with unique wines that pair with the spring season. Kids get to taste a sweet and delicious Tirosh. Besides the tasting, you will also get a chance to hear an expert and learn a little bit more about wine. Take part in a revolutionary outdoor escape room: a unique family-friendly experience based on the legacy of the great philanthropist Moshe Montefiore. During this activity, participants will get a treasure box and a code that they would have to solve in order to break the box and get the treasure. For ages 6 and up. Arts & crafts workshops from bottle corks and labels. Cost: 20 ILS for wine tastings, 5 ILS for Tirosh tastings. 11:00 A.M. / 12:00 P.M. / 1:00 P.M.
Start the day with a cooking hour for children. Chef Chen Koren from the TV show Bake Off and her kitchen staff will dig into the childhood stories that we crave – and leave us hungry for more. After storytelling, we will roll up our sleeves – cutting, mixing and sprinkling – we’ll fix ourselves a meal from legendary stories! * A workshop from Dad Is Embarrassing Me – kosher-for-Passover chocolate muffins frosted with whipped cream and decorated with toppings (for ages 10-5) 4:30 P.M. In the afternoon, the Train Theater makes a stop at IceEat, with magical plays and performances with audience participation. Every day brings a new and different intriguing show! Enjoy a fun Passover at The Train Theatre with plenty of children’s theatre shows and workshops and a special spring program. 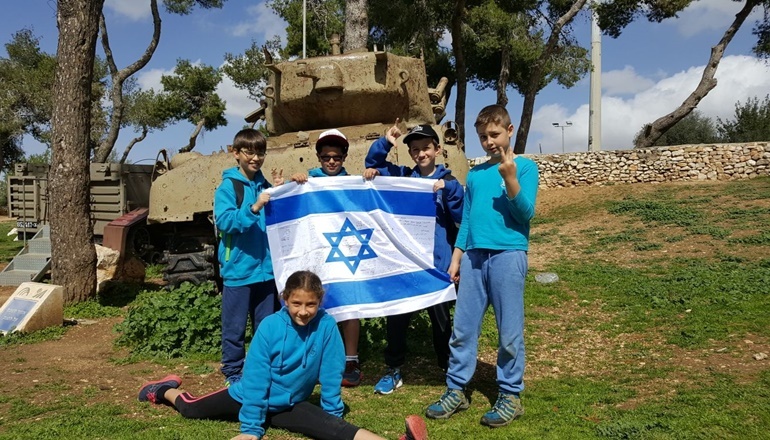 Beit Levi Eshkol offers an interactive experience where you will learn about the life and work of Israel’s third Prime Minister – Levi Eshkol. In addition, the museum hosts a special spring game at its eco-friendly backyard. Visits with reservations only. From 7 years of age. Tickets: April 21-24 – Combined tickets to the new museum and the audiovisual display for 28 ILS for adults and 25 ILS for children. April 23-24 – 30 ILS for adults and 25 ILS for children. Plastic recycling factory with a variety of workshops and displays. Africa Goal Exhibition – A new exhibition of footballs made of local landfill by children in Africa, out of necessity. Tickets: Admission is free for children under 5. Adults & children – 60 ILS; Family tickets – 220 ILS; 3D movie – 10 ILS. Discounts are available for Yerushalmi card holders, soldiers, people with disabilities, seniors, and more. Tower of David Museum is joining the Passover celebration with new and fun experiences for the whole family! Among the activities hosted in the museum, you’ll find an interesting practical workshop on the five senses, tours that take place on top of the Old City walls with stories and songs, a guided tour around the citadel with VR headsets, a spectacular photography exhibition about the Temple Mount and the Old City, and a tour around Herod’s Palace that will take you to the largest archeological discoveries of the Old City. 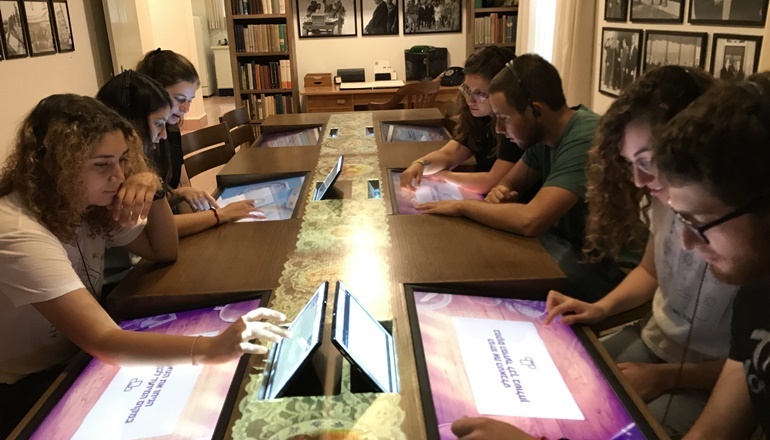 Visit the museum and watch a unique audio-visual display that will take you through the fascination life of Biniyamin Zeev Herzl. For ages 6 and up. Young children are welcome to join a creative Zionist workshop and make their own Israeli flag and star of David. The Zionism Race – a family mission game that includes navigation and challenges at the Zionist peak of Mount Herzl (some parts include stair descent). Winners will be announced at the end of the day and participants will be given a diploma. The Smart Wall – an interactive digital experience made of a of touch screens that present relevant issues in modern day Israel. Herzl’s vision comes to life through games, videos, and sound. Photography stations – a once-in-a-lifetime opportunity to step into Herzl’s shoes on the famous balcony in Basel and in the Zionist congress. Lawn area for family picnics. Artistic dance performance incorporating traditional dabka dance with contemporary techniques by Mahie group. Art workshops – Haggadah illustration & drawing over flower pots. Recycling workshop – make beautiful spring bouquets from recycled materials. Time Travel – animated movie exploring the story of the Dead Sea Scrolls – every hour at the Shrine of the Book’s auditorium. Cost: Free entrance for children; admission does not include entry to workshops. Guided tours are included in admission. April 21-25 at 1:00 pm. *On Thursday, April 25, the museum will close at 2:00 pm. Get to know the rich traditions of Jewish and Israeli music over this Passover through the many interactive exhibits and activities at Jerusalem’s Hebrew Music Museum. 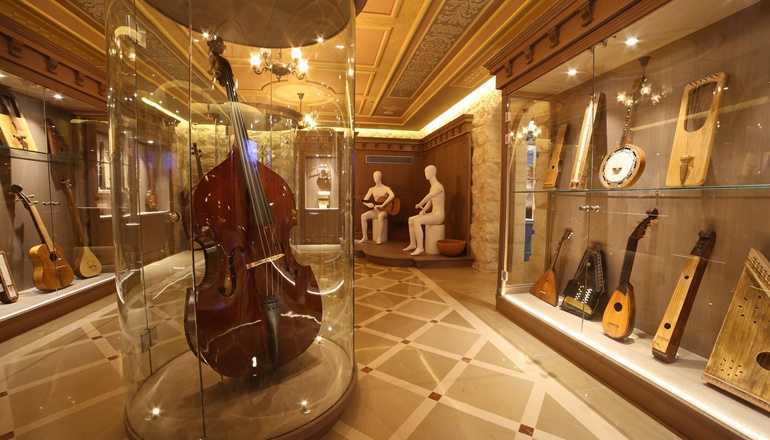 Take a museum tour and learn about the musical instruments of the Jewish people. When: April 21-26 – 9:30 am – 8:00 pm; Friday – 9:30 am – 2:00 pm. Tours leave twice a day – 10:00 am & 6:30 pm. Go back in time to ancient Egypt at the Bible Lands Museum! Juggling acts, a special movie about the history of writing and Egyptian hieroglyphs, and riddles about the secrets hidden in the pyramids. See the largest statue that was ever found in Israel – the statue of the Egyptian god Bes. The statue is displayed in the museum’s new exhibition and the children will make moving magnetic figures inspired by the statue. The Jerusalem Time Elevator attraction offers special prices during Chol HaMoed Passover. Embark on a historical journey and travel back in time to ancient Jerusalem. Cost: For ages 5 and up. Advance registration. Regular – 54 ILS; Yerushalmi card holders/students/soldiers – 46 ILS. The festival, which takes place during the Passover holiday in Hansen House, will celebrate Spring with a variety of workshops, activities and games that were built and designed specifically for the event. Discover, create, build and invent! Activities include: Gaming Hall (Including Minecraft), joint workshops for parents and children, molecular cooking for children, a light and sand animation room, machines that draw paintings, mysterious puzzle rooms and Efrat Hadani’s magical puppet show!